So after the Hourglass post where I curated a palette using their Ambient Lighting Powders, I don’t really have high hopes or expectations for Tarte. I’m hoping that with their wider product range, and colour options, that the selection process will be better. The Tarte face products that I’ve used so far, I’ve really enjoyed. However for the most part I don’t think they dip too much into the medium/ deep and deep/dark range. They merely skim the top and offer a few token colours. I knew I wouldn’t have a problem with highlighter selection because Tarte has one of my favourite subtle glow from within highlighters. This highlighter is creamy and smooth with no chunks of glitter or sparkle. It’s a beautiful shimmer that works great with my skin tone, even though when you look at it in the pan it looks like it wouldn’t work at all and would be ashy city. Their new Daygleam highlighter looks good as well, this one has a warm coral look to it that would be great in the summer. This powder has a slight tint to it, so I shouldn’t have to worry about it having a chalky residue or flashback. I like that they added some colour to the powder and didn’t just have it as a translucent or invisible, this means that I don’t have to worry about whether or not it will translate well on my deeper skin tone. I like the idea of this skin mattifying powder to help with oil control and also to improve the look of my skin. Who would have thought that Hourglass would have Tarte beat when it comes to the bronzer range. 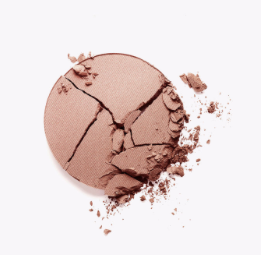 Certainly not me, at least Hourglass with their weak offering of Radian Light bronzer made an attempt to provide something for the medium/deep range. Tarte just has light/medium offerings. Sad but not surprised. They don’t have the Clay Play Palette available on their site anymore because I would have used the shade Timber. The website describes Natural beauty colour has a rosy red, in the swatches it appears to be a warm raspberry pink shade. The pigmentation looks good, so I’m hopeful that it would show up on my skin tone. I haven’t had the best experience with Tarte’s blushes so I’m a little leery about them. This one isn’t an ashy issue but more of a pigmentation concern. This blush on the Tarte website is described as a Rosy Pink it looks more like a light plum. From swatches it looks like it has a small amount of gold shimmer in it, which isn’t a bad thing. The shimmer doesn’t look chunky and isn’t over powering so I think it’ll add a nice subtle glow to the cheeks when applied. First I will say that one has to be careful when looking at the shades on Tarte’s website. They don’t represent the true colour of the products at all. A google search and a view Youtube videos are necessary to get the best idea of what the shades actually look like. The misrepresentation of the shades makes it difficult to choose products with any confidence, so that’s something that could be improved. Overall I feel that the brand could add some more shades that are geared towards those that are medium to deep skin tone. Even though I created a possible palette, I wouldn’t say that this exercise is a success, there’s still a lot of uncertainty about whether or not the shades will actually be suitable for my skin tone. Also the time that it took to search and verify if they could possibly work was far too much. What do you think of Tarte’s product offerings and shade range? Do you have a product that you love from the brand?